At least for now—in an industry changing almost moment to moment—the long-established publishers of the printed word still hold the keys to the biggest doors when it comes to book promotion, marketing and distribution, and they’re definitely choosy about who they open those doors for, and how far. Scribes who think finding an agent and “going traditional” is still worth a try, as I do, had better have proven their writer’s mettle enough to already have a solid following of readers—a “platform” of followers—interested in what they have to say, since agents and publishing houses today expect authors to bring some PR success to the table as well as quality writing. While an author who can do so may not be a “sure thing,” s/he’ll be less of a gamble. For both writers and readers, the ease of digital self-publishing can mean either boom or bust. A lot of really good writers’ works were previously overlooked or forgotten while they waited in line for the gatekeepers to unlock their potential to be discovered; now, they can skirt or jump those barriers and launch their novels into the marketplace with remarkable ease. Voila! An explosion of choices for readers and potential book buyers for writers. This is all wonderful, but along with the expansion of opportunities come a lot of complications. The boom: it’s a very big marketplace. The bust: it’s a very big marketplace, and you’d better know how to channel and navigate it because, if you’re self-publishing, there’s no one at the helm but you. While access to all the essential steps in publishing may now be more accessible, getting a book out into the marketplace presents a whole new set of challenges that writers in the digital age must undertake. If the writing of the manuscript is Act I, and the many steps toward publishing comprise Act II, then, at least for authors who want their book read by more than just friends and family, the book launch only begins Act III—when some say all the fun starts, or ends, depending on your personality type and skill set. I know. I know. Your creative gem is out there, available. You can see it all shiny and bright on your Kindle and on your neighbor’s Nook. You can feel the heft of its pages in your hand—even if you’ve printed only one physical book—and you can give copies to Mom and that girl or guy you want to impress. Great! That’s all good. You have accomplished a phenomenal feat: you’ve made your book appear—it’s real. But your hard work isn’t over, because it takes more than magic to market, distribute, and sell books. According to Digital Book World, there are nearly three million e-books on Amazon. Amidst all the thousands (tens of thousands?) of books being poured into the marketplace each day, how are people going to (1) discover your book and (2) choose to read it? Just as we writers need to endeavor to hone our craft and refine draft after draft in order to produce a final manuscript, so must we do our homework with regard to the successful introduction of our published works to our intended readership. Finally, if you’re a reader—You must be if you’re reading this post!—you may, in the vast new world of ebooks, have to taste a lot of frogs before you find that prince of a book you’re looking for. After all, with traditional publishing’s arbiters of quality sidelined, the task of sorting out the chaff from the grain falls to readers. This is where the categorization system discussed in previous posts on commercial genres, mainstream fiction, and literary fiction comes in handy. And, as my upcoming post on choosing books will explain, there are other tools, person-to-person as well as online, to acquaint readers with the authors and books that best match their needs and tastes. 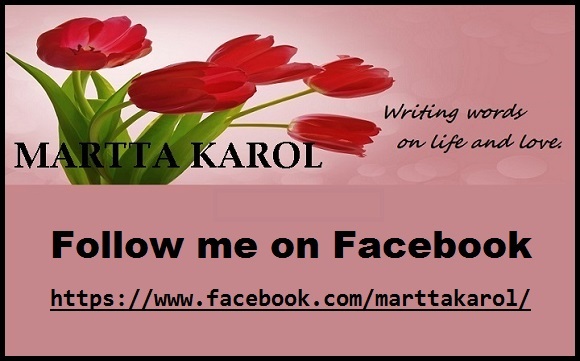 This entry was posted in About Writing, My Writing and tagged commercial fiction, fiction, fiction classifications, genre fiction, genres, novels, quotes for writers, self-publishing, traditional publishing, writers, writing a novel, writing quotes by Martta Karol. Bookmark the permalink. Brilliantly said. A good book goes beyond good grammar. Like the painting of a talented artist, the book should mirror the writer’s ability to engage the reader mentally and emotionally. A good story that meets a terrible writer won’t sale. That’s for sure. I don’t consider myself a novelist–not yet. Once I through with my WIP, it will still go through several stages of editing before I place in a folder for future review. I’ll be watching for your book launch, too, Uzoma. As I said in my response to your other comment, you are a truly talented storyteller. And story trumps all, you know, when it comes to successful publishing and drawing readers to your work.